We already knew that the Obama-era Justice Department and FBI were weaponized against the campaign of then-GOP nominee Donald J. Trump, but a new bombshell report on Monday provided additional insight into how far the Deep State was willing to go to undermine him while subverting the American political process. In 2009, Mueller’s bureau convinced Russian oligarch Oleg Deripaska to spend tens of millions of dollars of his own money to finance the rescue of an FBI agent being held by Iran. The operation, which never took off, aimed to pluck agent Robert Levinson out of captivity after he was captured in the Islamic republic while working undercover for the CIA in 2007. Keep in mind that Levinson was in Iran, and this was about the time that the Obama regime began its secret negotiations regarding the so-called “nuclear deal” the president wanted done at any cost. “We were told at one point that the terms of Levinson’s release had been agreed to by Iran and the U.S. and included a statement by then-Secretary of State Hillary Clinton pointing a finger away from Iran. At the last minute, Secretary Clinton decided not to make the agreed-on statement,” McGhee told Solomon. According to Solomon, who appeared Monday evening on Fox News’ “The Ingraham Angle” with Laura Ingraham, said that Deripaska was approached by FBI agents in the weeks before the Nov. 8, 2018, election and asked if he believed former Trump campaign manager Paul Manafort was “colluding” with the Russians. 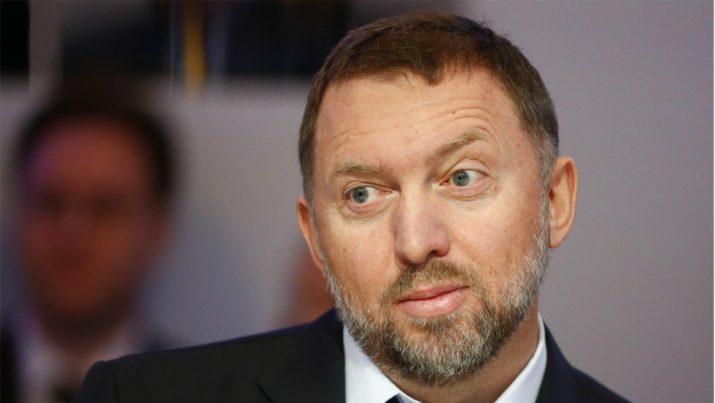 Two months before Trump was elected president, Deripaska was in New York as part of Russia’s United Nations delegation when three FBI agents awakened him in his home; at least one agent had worked with Deripaska on the aborted effort to rescue Levinson. During an hour-long visit, the agents posited a theory that Trump’s campaign was secretly colluding with Russia to hijack the U.S. election. He had every reason to trash Manafort — but didn’t, because he knew the narrative was bunk. Here’s another piece of the puzzle. You may recall that Manafort has been indicted by special counsel Mueller on charges that have nothing at all to do with nefariousness related to the Trump campaign and Russia. But Deripaska, who had a failed business relationship with Manafort once upon a time and who later sued him — was not indicted. There’s more. It’s possible Mueller’s operation violated federal law. Some experts have told Solomon it could have been a violation of the Antideficiency Act, which prohibits the government from accepting voluntary services. “If the operation with Deripaska contravened federal law, this figure could be viewed as a potential embarrassment for Mueller. The question is whether he could implicate Mueller in an impropriety,” George Washington University law professor Jonathan Turley told Solomon. Where are AG Jeff Sessions and deputy AG Rod Rosenstein? Read more about the corrupt deep state at DeepState.news.